Treatment for mild to moderate symptoms of benign prostatic hyperplasia (BPH) is usually done through medication. 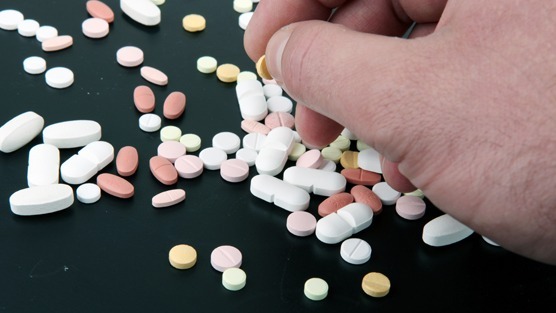 As with all drugs, BPH medications can potentially cause any number of side effects. Each drug comes with benefits and risks. Your treatment will depend on your symptoms, the size of your prostate, and other health related issues. While there’s no medication that can cure your BPH, there are several options that can ease bothersome symptoms of the condition. Since everyone doesn’t respond to BPH drugs in the same way, if one medication doesn’t improve your symptoms or if it causes uncomfortable side effects, your doctor may recommend another drug. Always let your doctor know how you’re feeling. This can help them find the best treatment to help bring you much needed relief. Alpha blockers work by relaxing muscle fibers in the prostate and bladder neck muscles allowing for easier urination. Side effects of alpha blockers include: dizziness, fainting, headaches, lightheadedness and low blood pressure. Anticholinergics Normally prescribed to treat an overactive bladder or incontinence, anticholinergics help by relaxing the muscles in the bladder and urinary tract. However it appears to be less effective than alpha blockers and 5-alpha reductase inhibitors. Side effects may include: dry mouth, constipation and drowsiness. Combination therapy uses both alpha blockers and 5-alpha reductase inhibitors and is prescribed if one of the medications alone have not been effective. Combination therapy can also decrease the development of complications and the need for surgical intervention. Although taking both medications may work better to ease your symptoms, it may also carry a higher risk of side effects from one or both drugs. Phosphodiesterase-5 (PDE-5) inhibitors these drugs are approved to treat erectile dysfunction (ED). Only one of these drugs, called tadalifil (Cialis), is also FDA-approved to help relieve BPH symptoms. Side effects can include: headache, indigestion, and back, muscle, or limb pain.